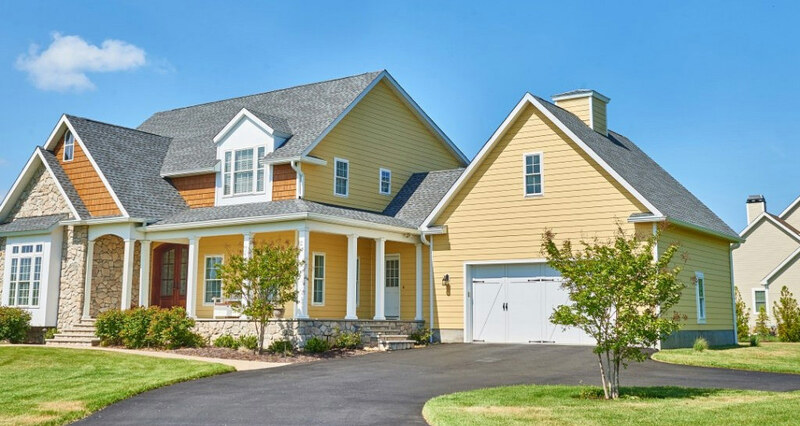 Come to Excel Builders for help from the most dedicated custom home builders in Maryland. We’ve been helping happy customers perfect their dream house for more than 25 years, and we’ve crafted a reputation for having some of the finest workmanship in the state. Projects can be planned in several flexible ways. We can start with home plans you’ve already developed by adjusting them until they fit your needs, or developing models based on the ideas you give us during the consultation. Check out our portfolio to learn what to expect. No matter how you want to begin, you’ll end up with the house you’ve always wanted. Our clients choose us to build their dream homes because we offer some of the finest and most comprehensive services. Your new house can be built in many different styles, on a lot of your choice. We started our business building with traditional wood, but that is no longer the only option we offer. All of our work is always done to the highest standards. We know that choosing the right builder can be an incredibly stressful decision. We want you to rest easy and feel confident in your decision when you go with Excel Builders. We’ve been in this business for decades, and many of our past clients would be happy to tell you about the excellent work we performed for them. If you want peace of mind, you’re in luck. Our experience means we know what to expect from any job and our selection of powerful warranties covers you from different angles. We choose high-quality materials that are themselves covered by comprehensive warranties. We additionally stand behind the construction everything we build. Call us to find out more about the protections that we offer to our customers. There are plenty of reasons to go green, especially when it comes to the place you where you live. Our modern building process and the materials we use offer you the chance to save hundreds of dollars on your monthly utilities while doing your part to help reduce our carbon footprint. The core of our green services is our insulated concrete forms. This material is particularly efficient at maintaining internal temperatures so that you don’t need to run your heating and air conditioning near as often. Using proven techniques, our premium homebuilding can save you money over time. When you’re finally offered the chance to build the house you’ve always dreamed of, the choices can be overwhelming. You’ll find all types of models in our portfolio. They can be built on any plot, and to any preference, whether that means catching the sunshine, saving on heating or being tough enough to pull through big storms. Don’t worry if you find yourself running a little short on ideas, after enough planning, and help from our experienced team, everyone figures out what that they can truly love—the one they’ve been designing in their minds all their lives. Follow in the footsteps of so many other smart buyers who have chosen to build their luxury getaway on Chesapeake Beach. With several available options, you can build a vacation or retirement home that makes it easy for you to enjoy everything the sea has to offer. Capture the best views of the coast with plenty of windows and classic features like verandas and widow’s walks. Keep the cooler winds at bay with premium insulation and fireplaces so you can enjoy the beach life all year round. Georgian is one of the most popular classic styles among Baltimore homes. If you’ve been waiting always dreamed of living in one of these elegant and sweeping homes, you don’t have to buy one with an ancient history—and ancient wiring and plumbing—because you can plan a Georgian-style that’s built to your exact specifications. Every detail is yours to choose, from the entryway to the classic brick exterior work. From Thurmont, you have access to lots from the sprawling Catoctin Mountain State Park and all the amazing wildlife opportunities that it offers all year round. When you have your own luxury cabin, you never have to worry about the inconveniences of “roughing it”. Instead, you can make sure that your cabin has all the luxuries…and then some! Build your cabin with a fully-decked outdoor kitchen or a sauna to relax when you come in from the trails. If you want a retirement destination that’s still near the bustle of the big city, consider building on a lot in Baltimore instead of buying one. Enjoy living in the city more than you ever thought possible with a noise-canceling plan, building materials and insulation that saves you lots of money over higher urban utility prices. If you find yourself constantly commuting to big things in D.C. It may be time to consider a custom home that’s close to the border. Build a residence that can serve you as a DC-adjacent professional command center with large amounts of indoor and outdoor entertaining space for hosting and hobnobbing. The Blackwater National Wildlife Refuge is one of the premier sanctuaries on the Eastern Seaboard. A retirement cottage built near here will give you access to some of the best fishing, continue to charm and calm you for decades to come. Let us help you build a model of your new home today. Call us to find out more about our green construction options today.